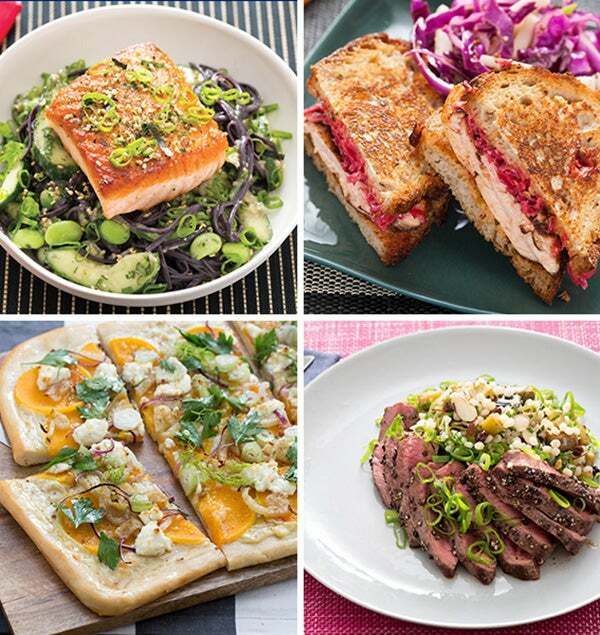 “Paillard” is a French technique in which poultry or meat is pounded thinly, making for quick cooking—and plenty of surface area to brown and turn deliciously crispy. 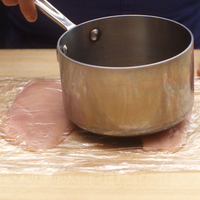 Tonight, you’ll pound your chicken in plastic wrap for easy handling. (Feel free to use the bottom of a heavy pot or pan if you don’t have a flat meat mallet!) 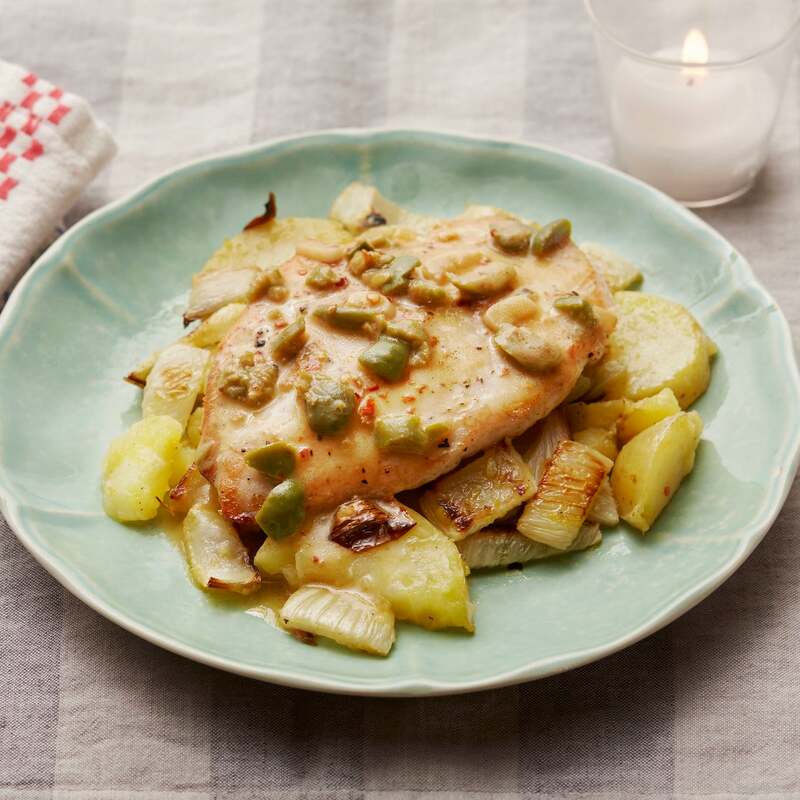 We’re serving our paillard with potato, aromatic fennel and a Meyer lemon pan sauce that gets a pop of briny flavor from Castelvetrano olives. Preheat the oven to 450°F. Wash and dry the fresh produce. 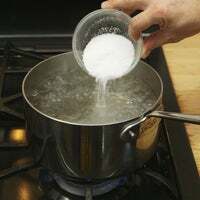 Heat a medium pot of salted water to boiling on high. Halve the potato lengthwise; cut crosswise into ½-inch-thick pieces. 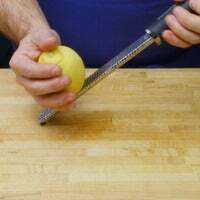 Using a peeler, remove the lemon rind, avoiding the white pith; mince to get 2 teaspoons of zest (or use a zester). 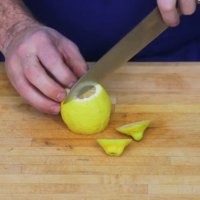 Quarter and deseed the lemon. 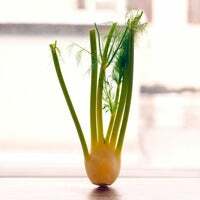 Cut off and discard any fennel stems; core the bulb, then roughly chop. 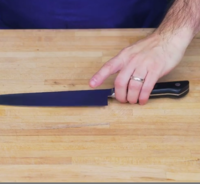 Using the side of your knife, smash the olives; remove and discard the pits, then roughly chop. 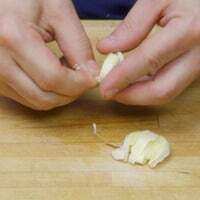 Peel and thinly slice the garlic. 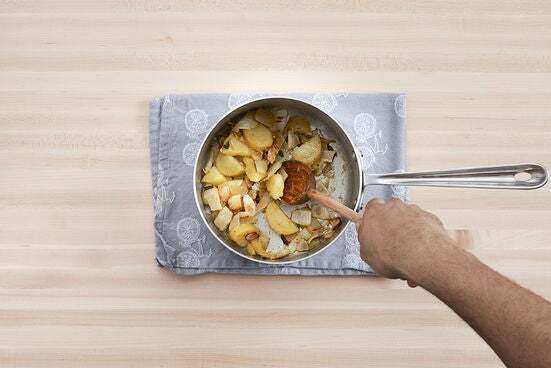 Add the potato to the pot of boiling water and cook 12 to 14 minutes, or until tender when pierced with a fork. Drain thoroughly and return to the pot. 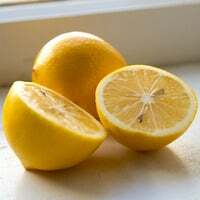 Off the heat, add the juice of 1 lemon wedge; gently stir to coat. 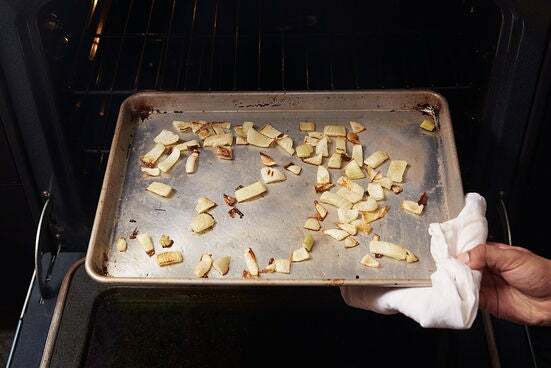 While the potato cooks, place the fennel on a sheet pan. 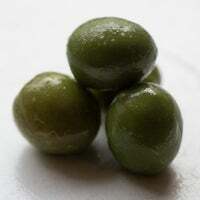 Drizzle with olive oil and season with salt and pepper; toss to thoroughly coat. 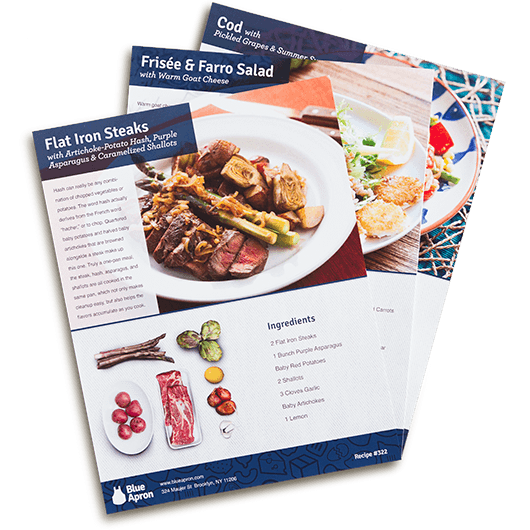 Arrange in a single, even layer and roast 14 to 16 minutes, or until browned and tender when pierced with a fork. 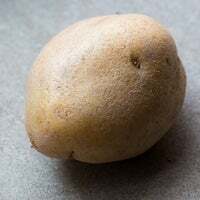 Remove from the oven and transfer to the pot of cooked potato; set aside in a warm place. Place the chicken between 2 sheets of plastic wrap. With the bottom of a heavy pan (or a flat meat mallet), pound to a ¼-inch thickness; discard the plastic wrap and season both sides with salt and pepper. 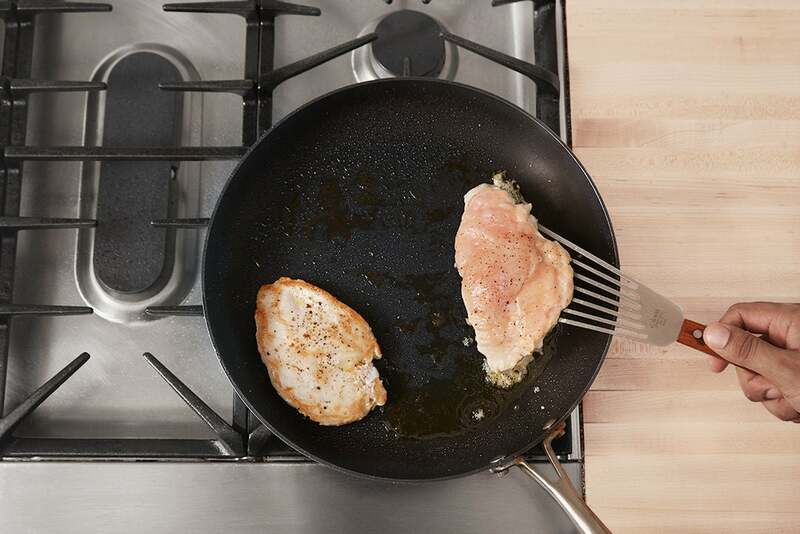 In a large pan (nonstick, if you have one), heat 2 teaspoons of olive oil on medium-high until hot. 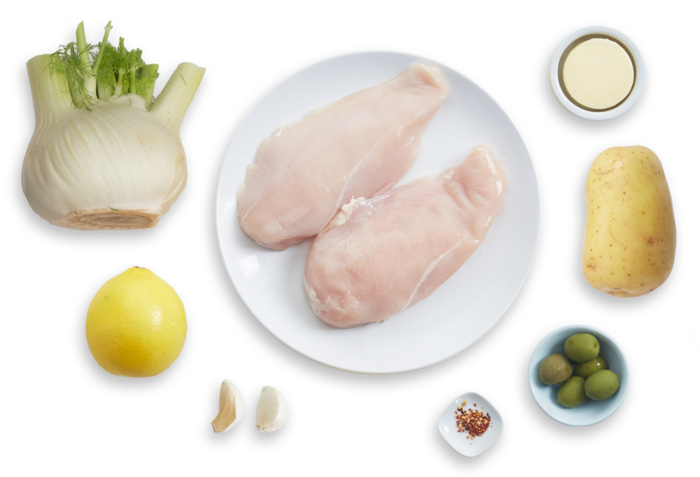 Add the chicken; cook 3 to 4 minutes per side, or until browned and cooked through. Leaving any browned bits (or fond) in the pan, transfer to a plate. 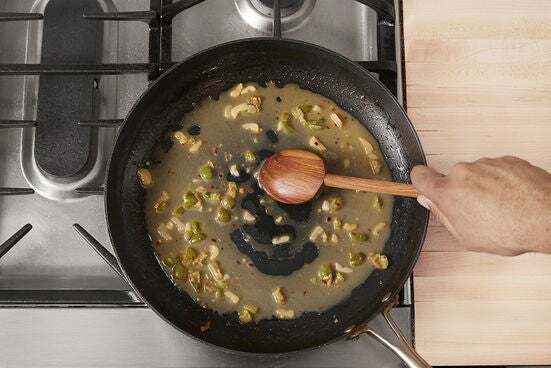 Add the olives and garlic to the pan of reserved fond; season with salt and pepper. 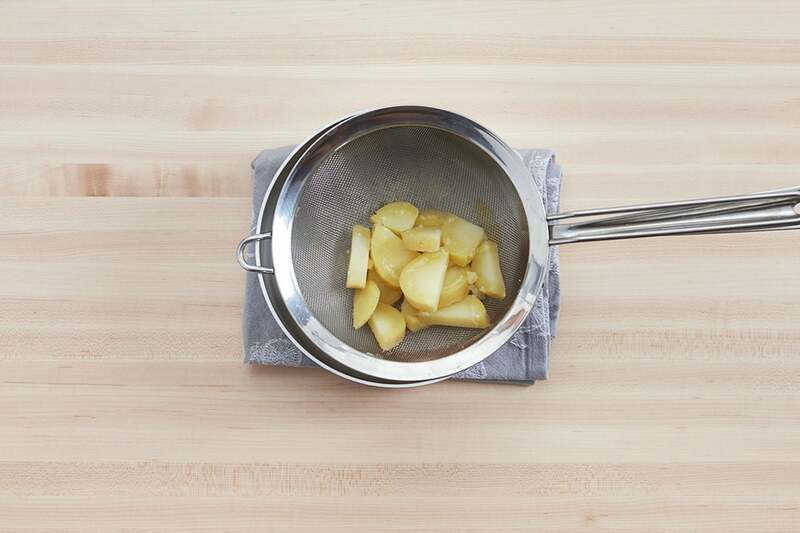 (If the pan seems dry, add 1 teaspoon of olive oil.) 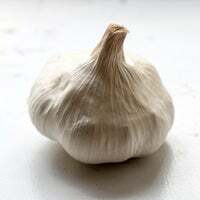 Cook on medium-high, stirring frequently, 30 seconds to 1 minute, or until fragrant. 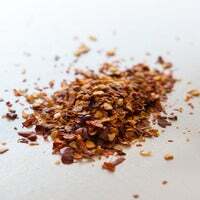 Add the juice of 2 lemon wedges, ¼ cup of water and as much of the red pepper flakes as you’d like, depending on how spicy you’d like the dish to be. Cook, stirring occasionally, 1 to 2 minutes, or until fragrant. 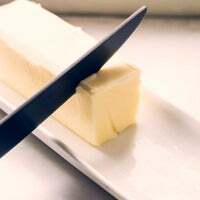 Turn of the heat; add the butter. Stir until melted; season with salt and pepper to taste. To the pot of cooked vegetables, add the lemon zest and the juice of the remaining lemon wedge. Drizzle with olive oil and stir to coat; season with salt and pepper to taste. 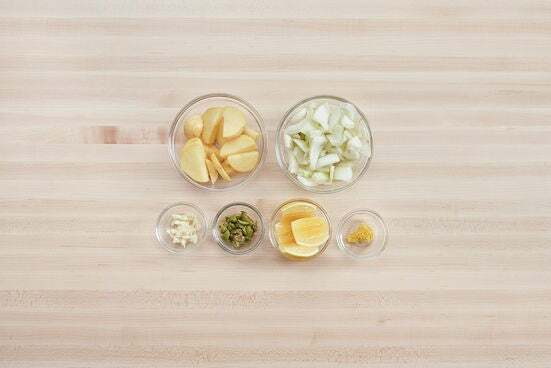 Divide the finished vegetables between 2 dishes. Top with the cooked chicken and sauce. Enjoy!